Yes, Diva Chix celebrated its 10th Anniversary. Omg can you believe it’s been 10 years already! 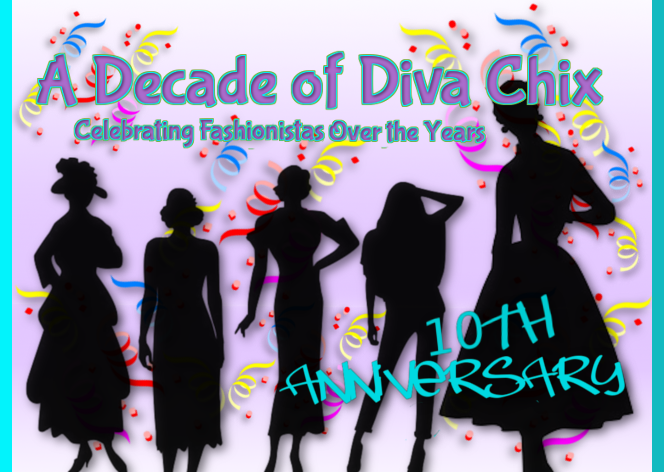 This year’s theme is: “A Decade of Diva Chix”. July was full with lots of activities hosted by our very own DC Staff. The contests included a Dress Up Veronica, DC Memories, DC Pet Shop, Hangman, Come As You Are Limo Party, A Decade of Diva Chix Pinteresting and the Design a Pulse Cover. And there are other activities as well for example the Voting Game, Anniversary Bundles, Celebrity Showdown, Pass the Parcel, Various Decorating Games and so much more is in store for you lovely members. Want more information about the celebration? Simply click here. So tell me, did you enter any of the activities in July? Which one was your favorite? What did you think? I had so much fun during the anniversary! Lots of old faces showed up too!